At lunch, Bel went around the table telling each one what she thought of us. For those seated nearby, she shouted, so they could hear her. Of course, I had brought my little camera with me and could not resist snapping this powerful moment – filled with the love, joy and exuberance with which Bel always lived life. She says, the photograph reminds her that she is an anomaly. 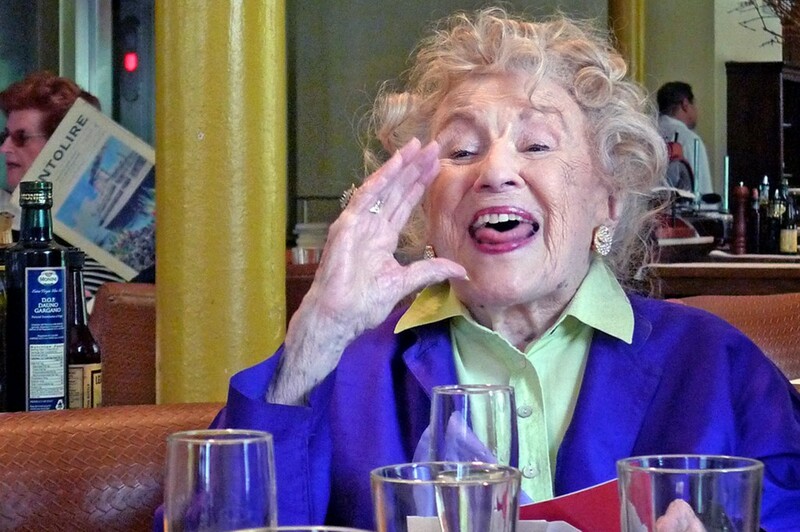 “I am not the average 101-year-old woman. Few live to be this old in as good as shape as I am,” she says. Weeks later, Bel and I met for our own private lunch. This time at Demarchelier, another Bel French favorite. With Centolire closing and Demarchelier sold to new owners, Bel surpasses us all, exclaims the maître d’.